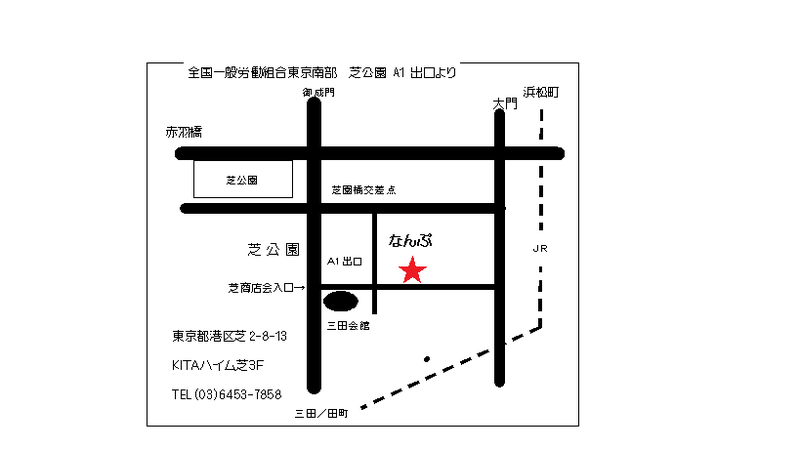 How get to Nambu office from Shibakoen station, Mita Line, Subway. 1. Come out of A1 exit at the station, 2. Go ahead 30 meters up the road and turn to the left at first corner. 3.You can find the building on next block left hand soon, the first floor is a luncher, we are third floor.